This range of copper and lead contact pads come in a variety of shapes, sizes and types to make sure your magnetic bench is outfitted correctly for the parts you inspect. Magnaflux contact pads prevent arc burning, and ensure good, reliable electrical contact between the headstock and part. Choose a solid pad if you are inspecting parts with flat ends, pick a braided pad if your parts have rounded or irregular shaped ends. 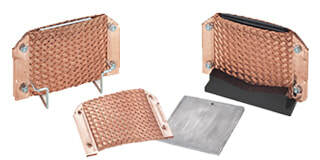 Magnaflux copper braided contact pads prevent arc burn by helping maintain proper electrical contact between test parts and contact heads. 18948: Double-Braided Pad with V-Block. Heavy copper braid provides contact over larger surface area. Built with neoprene, the V-block base centers and supports test parts. The pad can be reversed to provide two wear faces. Fits all units except A-915. 18949: Double-Braided Pad with Clip. Offers the same performance as the 18948 but clips over the headstock. Fits both A-915 and H Series units. Magnaflux lead contact plates prevent arc burn by helping maintain proper electrical contact between test parts and contact heads. 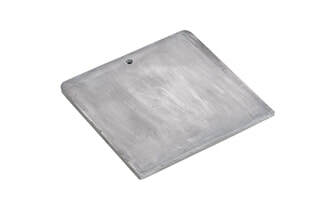 605657: Heavy Duty Lead Contact Plate. 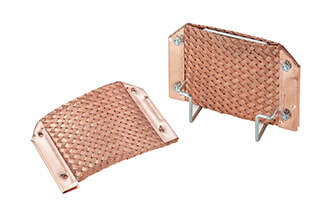 Copper impregnated lead contact plate that lasts 10 times longer than lead contact plates. Size: 6-3/4” (171.45mm) x 6-5/8” (168.275mm) x 1/4” (6.35mm) thick Fits all units except A-915 and H Series units.